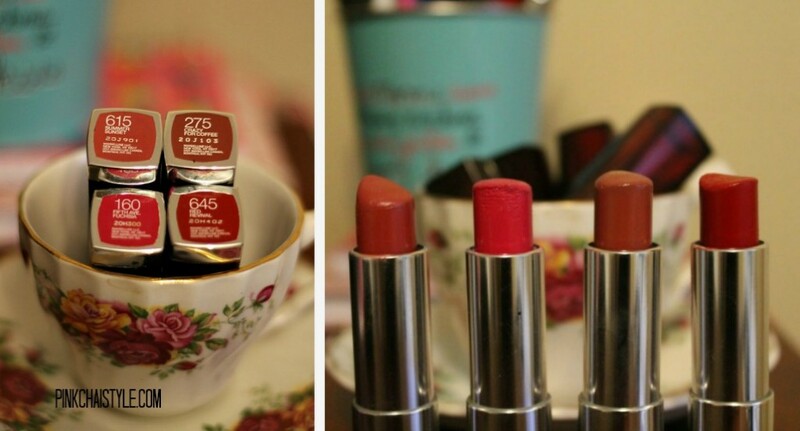 If you’ve been following the blog for a while, you know I love me some red lipstick! So in honour of National Lipstick Day, I thought I’d share my favourite formula, colours and some fun things I learned from researching lipstick shape personality tests. Yes, I clearly have too much time on my hands – or maybe I have the perfect job….hmmmmm. My all-time favourite formulation is usually on sale somewhere for around $8.99 and is, drum roll please; Maybelline COLORsensational lipstick.I’m sure there are lots of amazing designer lipstick products people love, but I’m a mom on a budget with a slight obsession with lipstick so these are perfect for me. 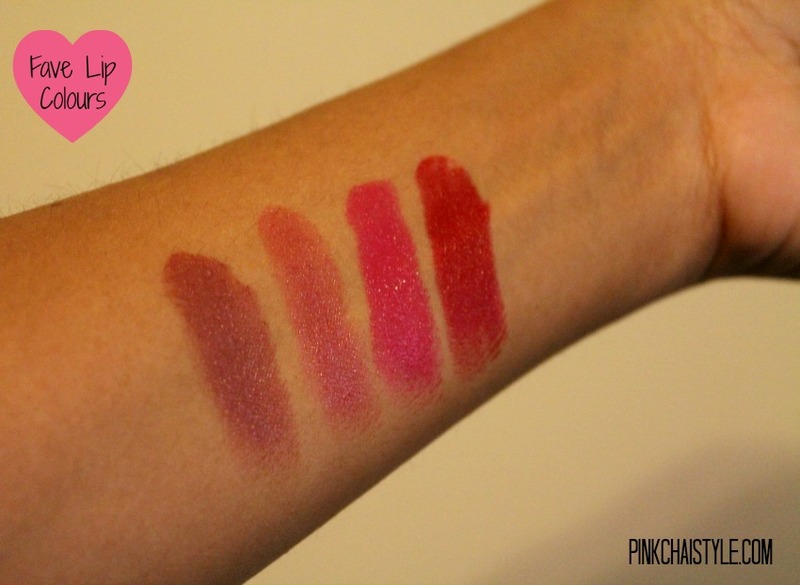 They are really nice and pigmented, the lighter shades last almost all day, and the darker shades need no more touching up than my pricier lipsticks. Added bonus; COLORsenstational lipsticks are gluten free! (Not all Maybelline products are though, so if you try another product, be sure to do your homework). So I did a little google based unscientific research on what the shape of your lipstick says about you. First of all, I found no studies to back up any of this, however, it was a fun way to spend 15 minutes. I tried a few different tests and some were sort of close, others were totally off, and then I stumbled on this one from Beautylish and it was perfection. Based on the concave shape of my lipstick I’m a romantic (collective awww). If you have a few minutes pop over to Beautylish and figure out your lipstick personality, be sure to leave me a comment letting me know the results. Just for today, kisses for everyone, tomorrow it’s back to hugs! *PS: I was not compensated or perked for this post. 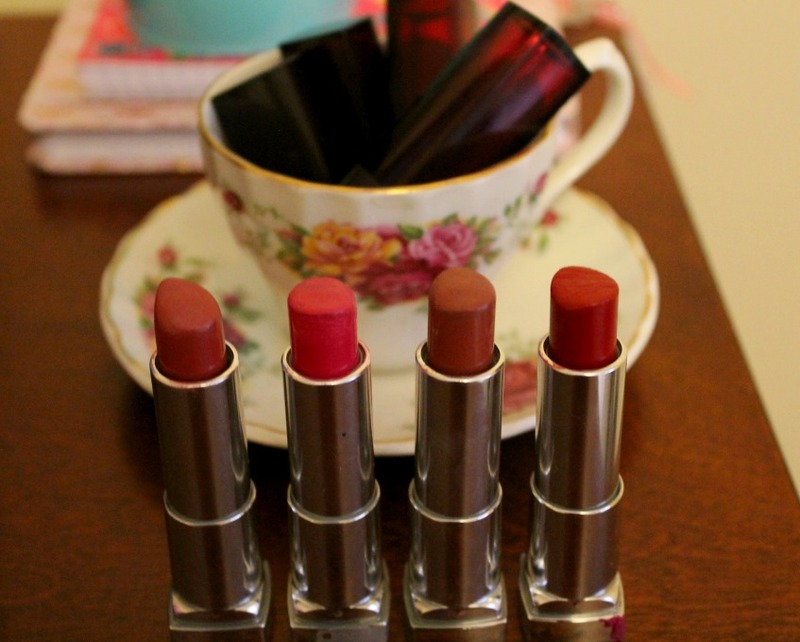 Those are my very own lipsticks, bought with my very own pennies. Well actually loonies because the Canadian penny has been discontinued. love the summer sunset one. very nice shade. right now I am all over the Burts Bees Tinted lip balm. it’s a great light summer choice. and all natural, which I love. But when I am going out on the town….it’s MAC Pro Longwear Pink Cranberry. Thanks for sharing! I haven’t tried either, will have to check them out.